Plastic packaging: from bad rap to good wrap? - Bags Not - Say 'Bags Not' to single-use plastic bags. Plastic packaging: from bad rap to good wrap? On August 10, the New Zealand Government officially announced the banning of single-use plastic bags. Exactly what types of bags the ban will include, what businesses it will impact, and how quickly the ban will come into force is yet to be announced as the government are currently going through all the submissions they received (we got ours in!). We’re thrilled about this development and know that all you “Bags Not” supporters have played a significant role in creating this positive outcome. Thank you!! The question many of you are asking is what are we going to do about all those other single-use plastics that are choking up the place, especially food wrapping and packaging. Well, the answer is being worked on right here at home in NZ. 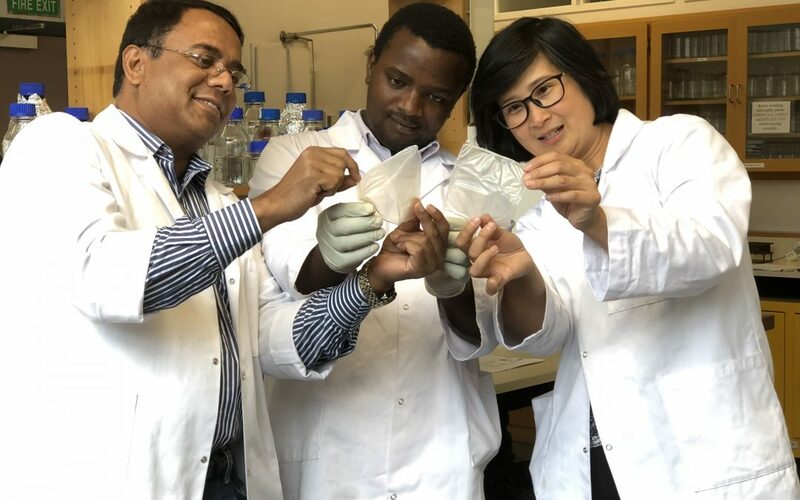 A research project led by Professor Indrawati Oey at the University of Otago’s Department of Food Science is developing a non-toxic, biodegradable alternative to petroleum-based plastic packaging. Professor Oey’s project has been boosted with one of four recently awarded Toxicology Research Grants. This funding will help her team to investigate the usage of chitosan and zein – by-products of the seafood and corn industries. These ingredients are blended with poly-vinyl alcohol – a water-soluble polymer that’s often used as a food additive and in cosmetics. The resulting film they’ve produced in their lab has good mechanical and barrier properties. The toxicity of the team’s new film is now being tested, an essential part of the development for any product that’s intended to be used in food applications. Initial tests suggest their alternative is so harmless you could eat it.